Goodnight everyone, and have a striking weekend! 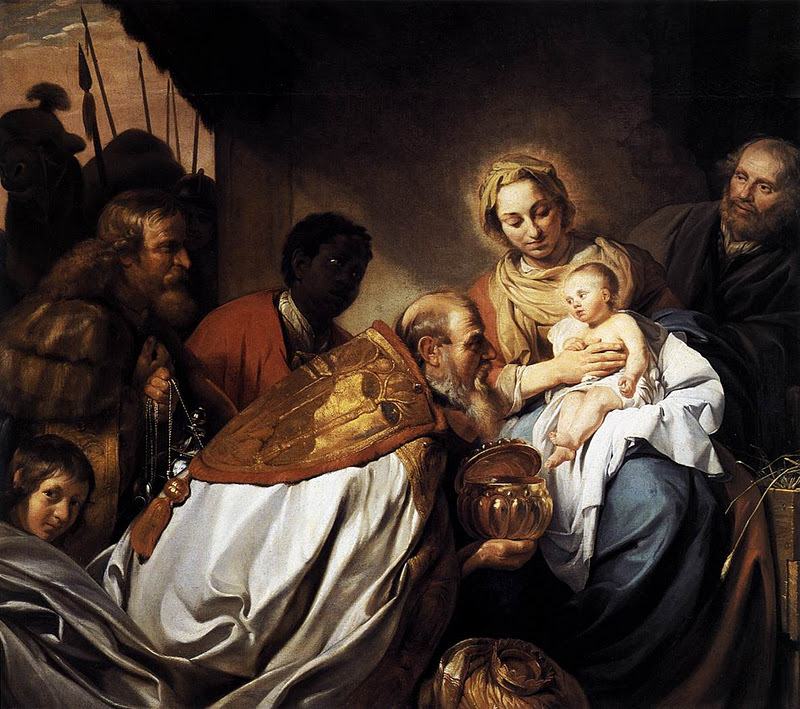 On Sunday the Catholic Church celebrates the feast of “Epiphany,” the adoration of Baby Jesus by the wise men (magi) from the East, together with His baptism in the Jordan and the wedding feast at Cana in Galilee. In general, an epiphany is known as a sudden perception of the meaning of something, an intuitive grasp of reality through something usually simple and striking, or a revealing scene or moment. And because they were kind and generous and good men, on the night of the Nativity they earned the privilege of being told by the angels in a dream that the long-awaited king of the Jews had just been born, that He was the Promised Redeemer, and that they were chosen by the Lord to seek Him and to honor Him. This week’s theme: Music of the Magi. Let’s get started with one of the finest contemporary jazz bands. Let’s pick up our story from where we left off. 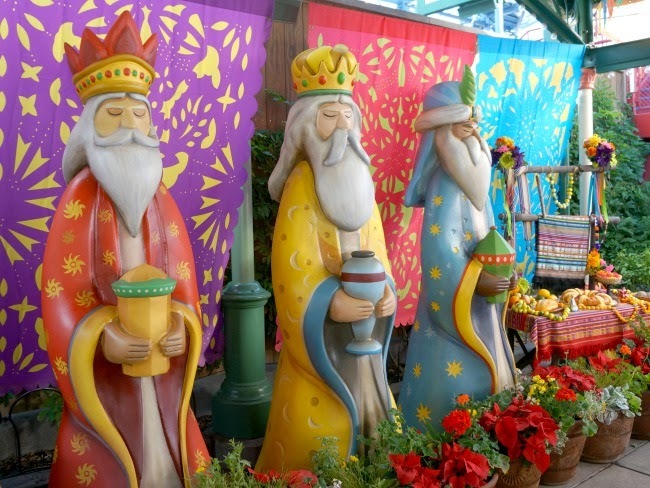 The three Kings (according to tradition) were Gaspar, Balthasar and Melchior. Though each one received this revelation separately, each was made aware that it had also been given to the other two. 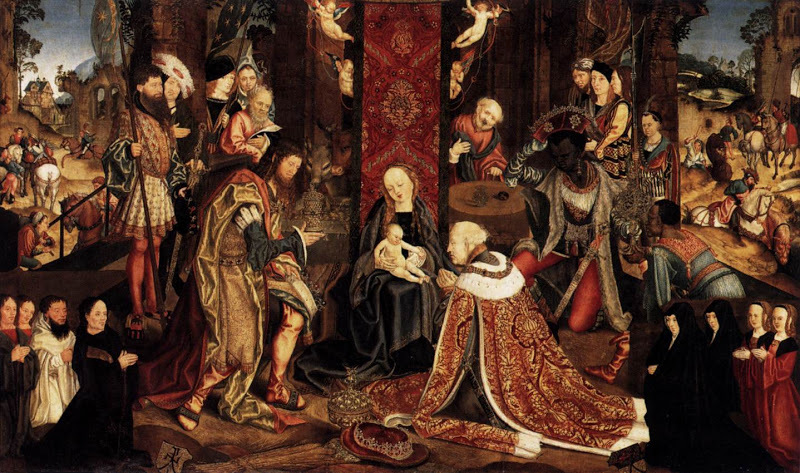 The three Kings awoke at the same hour of the night, filled with extraordinary joy, and prostrating themselves on the ground they humbly thanked and worshiped Almighty God. Then they decided to leave immediately for the Land of Israel in order to adore the divine Child. Without delay they prepared gifts and procured the necessary camels, provisions and servants for their journey. 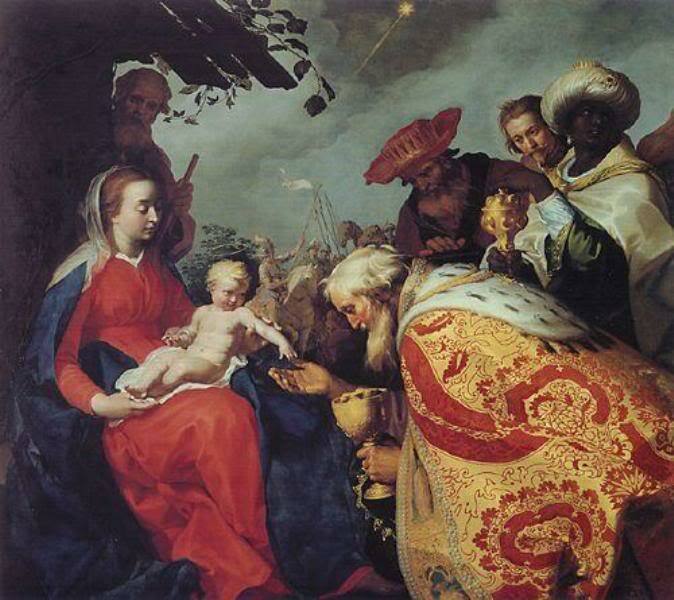 As each King set out that evening, he suddenly perceived a beautiful mystic star, which was formed by the angels, and in this star he saw a symbolic vision of a Virgin and Child with a cross, who was a King of a heavenly city and whom all the kings on earth worshiped. The star then guided the three Magi in such a way that within a few days they came together, Melchior having traveled more rapidly than the others from his more distant kingdom. All three, who were already intimate friends, after conferring about their revelations became still more inflamed with devotion for the newborn King, and they now pursued their trip together, always under the guidance of the star, which they could see as clearly during the day as at night. The musical ensemble Celtic Woman was formed in 2004. Since then Celtic Woman’s CD and DVD releases have been enthusiastically embraced by a large and ever-increasing audience, and their concert tours have become major events. The group has sold over eight million albums and DVDs worldwide. The journey across the deserts, mountains, and rivers of Chaldea and Syria took nearly a month, despite the fact that the camels and horses were unusually fleet-footed. The whole caravan traveled in perfect order, and everyone seemed filled with simple joy and devotion. But to their astonishment, the guards and the other Jews indicated they knew nothing about the birth of a new King of Israel. Then, at the request of the Magi, messengers were sent to arrange an interview with King Herod in his palace. Leaving the King very ill at ease, and without taking any of his refreshments, the Magi set out with their caravan for Bethlehem. They were directed to the Valley of the Shepherds as a suitable place for the caravan to camp overnight. After their servants had put up a large tent and had begun to unpack provisions, the three Kings suddenly perceived the star shining with extraordinary brightness over a nearby hill. Then a beam of fiery light descended from the star onto the grotto, and in this ray the Magi saw a vision of the holy Child. Reverently taking off their headdress, they slowly walked over to the hill and found the entrance to the stable. Gaspar pushed the door open and caught sight of the humble Mother of God sitting with the Infant Jesus at the far end of the cave, which was filled with a heavenly light. Both Mother and Child were just as the Kings had seen them in the vision a month before. St. Joseph and an old shepherd now came out of the grotto, and the Magi told him very simply and modestly that they had come to worship the newborn King of the Jews and to offer Him gifts, whereupon Joseph welcomed them with touching friendliness and cordiality. When Mary knew that the Magi were approaching, she asked St. Joseph to stay at her side, and she calmly awaited them, standing with her Son in her arms, her head and shoulders covered with her veil, in perfect modesty and beauty, with a celestial light shining in her countenance and shedding over her a majesty that was more than human, even amid the extreme poverty of the stable. After taking off their sandals and turbans, the three Kings entered the grotto. At their first sight of the Mother and Child, they were overwhelmed with reverence and admiration, and their pure hearts overflowed with joyful devotion. 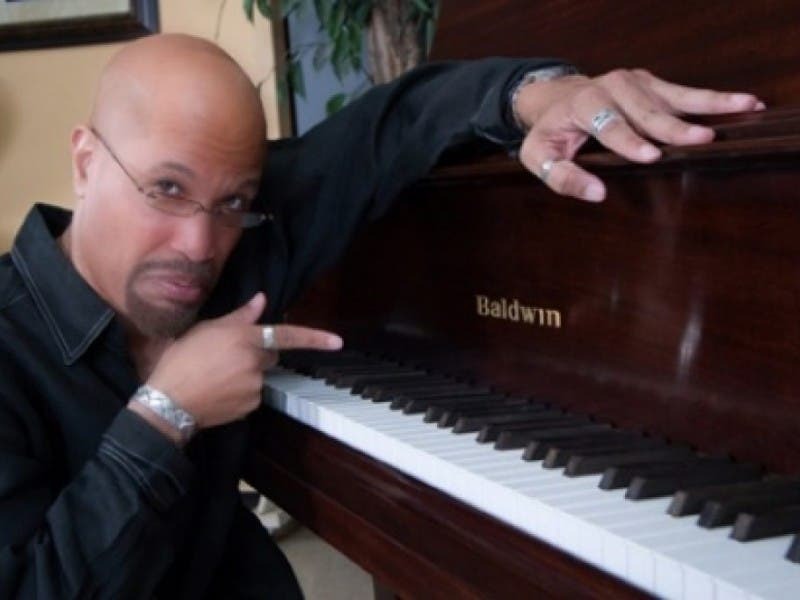 Here’s jazz pianist Bob Baldwin from his 2016 album. Then the three Magi , simultaneously prostrated themselves very humbly on the ground and fervently worshipped the divine Infant, acknowledging Him as their Lord and Master and as the Savior of all mankind. Then she uncovered the upper part of the Christ Child’s body, which was wrapped in red and white swaddling clothes, and with one hand she supported His head, while she put the other arm around Him. The Infant Jesus had His tiny hands across His chest, as if he were praying, and all His features seemed to radiate joy and love. Seeing the divine Babe of Bethlehem thus, the three Kings fell on their knees before Him and again adored and worshiped Him. Their hearts became inflamed with a burning mystical devotion for Him. And in a fervent silent prayer they offered to the Christ Child their kingdoms, their peoples, their families, all their possessions, and their own selves. Then Gaspar took from a purse hanging at his waist a number of small gold bars and laid them at Mary’s feet. Next the copper-skinned Balthasar placed a golden censer with green incense on a table in front of Jesus. Finally Melchior came forward and left on the table a lovely little flowering shrub which gave forth myrrh. As each gift was presented, the divine Infant smiled and waved His arms in a very lovable way, while Mary nodded with touching humility and spoke a few words of simple heartfelt gratitude to each of the three Kings. The next day the Magi generously distributed food, clothing and money among the needy families of Bethlehem, and they sent their servants to the grotto with many choice presents, which Mary set aside for charity. The Kings planned to return to Jerusalem the following morning, and so they now went to say farewell to the Holy Family. First they consulted the Blessed Virgin concerning many mysteries of faith and practice of religion in their daily lives and duties. Her words were so filled with divine truth that the Wise Men were deeply moved and wished that they did not have to depart from her. When they presented some gems of great value to her, Mary respectfully refused them. They also offered to have a comfortable house built for her, but she humbly thanked them without accepting. When at last the Kings had to leave, the Mother of God allowed each of them to hold the Christ Child in his arms, and as each did so, his face became transfigured with joy and he wept tenderly. At the door they very fervently begged Mary and Joseph to pray for them. Then, in order to make them happy, Mary suddenly unwound her long yellow veil and handed it to Gaspar. The three Magi bowed low before her and gratefully accepted this precious relic, and when they looked up, their hearts were filled with reverence and love as they contemplated the full heavenly beauty of both Mother and Child. After chanting their evening prayers, the Kings and their attendants retired for the night–until, about midnight, an angel warned them in a dream to leave at once for the East without passing by Jerusalem. Within less than an hour the caravan had quietly packed up all its equipment, and after a last, touching farewell to st. Joseph, the Magi silently vanished into the night, guided by an angel. We close with trumpeter Rick Braun.